Most of my posts focus on tips of what TO do, today is a what not to do example. Yesterday, I had a door-to-door sales rep visit my home. 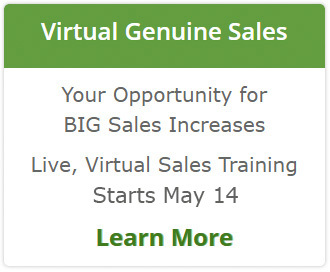 I am always excited when I have a sales rep visit so I can see how they approach the sale! This man started talking AT me as soon as I approached the door and I wasn’t sure what he was talking about. Though I could tell from the truck in my driveway that he was selling beef. I’ve got to end my day to pick up my kids. If I return to my warehouse THEY make me pay ‘like’ $20 a box to return them if i didn’t sell them. Just for YOU (looking to the side and behind him to make sure no one was listening) I’m going to do a Buy 1, Get 1 today. THEY don’t care how I get rid of this stuff. Turn off! So many slimey, manipulative techniques in the first 3 minutes. But I wasn’t done, I wanted more to remind myself how it doesn’t have to be this way. He put a brochure in my hand and and I heard more “They’ statements. He stuttered and then went on with his slimey sales pitch and ‘deal’. Well, I quickly counted the pounds on the sides of the boxes at my feet and it was 16 pounds. And I was done with the fun. Explained I was not interested and walked back in the house. But it wasn’t over – he asked me for his brochure back! The top What Not To Dos from this example? Do NOT talk about ‘THEM’ when referring to your company. OWN what you sell. Do NOT talk AT your prospects, customers and buyers. Do NOT play ‘let’s make a deal’ – it makes you look less than ethical. Do NOT misrepresent what you are selling – if you don’t know the answer, let the prospect know you will find the information. Now I didn’t find this 7 minutes was a waste of my time at all – it turned out to be a great reminder that not every sales rep is a sales professional. How about you? 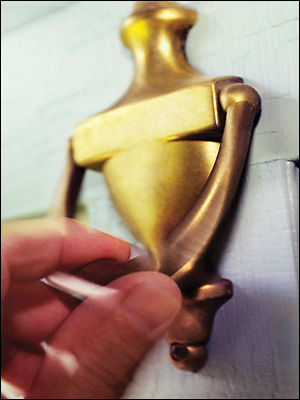 Have any fun or annoying ‘door to door’ stories to share?